First Strategy Meeting of the Council in Berlin | Harvard GAC e.V. 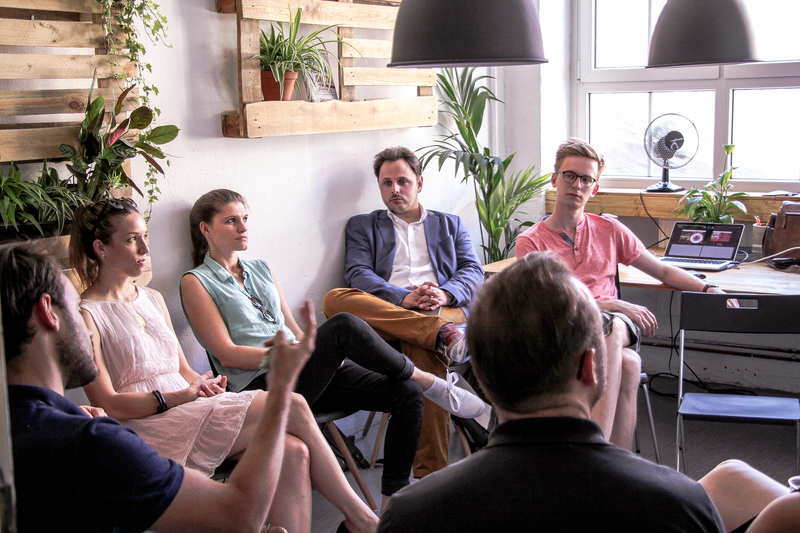 A highly motivated group of Council members met in a backyard of a typical Berlin Kreuzberg startup building to discuss the future of the Council of the German American Conference at Harvard. In order to foster innovation on both sides of the Atlantic and circulate ideas that impact the future of our society, our transatlantic network will explore the latest emerging trends and extract value-adding solutions in a joint and interdisciplinary effort. The intergenerational character of the Council makes sure that the connections among current and future leaders in business and international affairs merge into a strong transatlantic network, which helps our society to master the most decisive transatlantic challenges of our time. Our members represent Harvard’s excellence on both sides of the Atlantic Ocean. Many of our current members have already excelled in their respective fields. In addition, Harvard Professors in our Presidium ensure that we continue to be closely connected to Harvard. There are still roles and responsibilities available to get involved in the Council’s leadership team! Feel free to reach out and state which roles you find interesting and which ideas you’d like the Council to cover. ⟵Foundation of the Council of the German American Conference at Harvard e.V.